For today's tutorial prompt, I tried a technique I've been wanting to try for ages. Double processed stamping. I followed a video tutorial done by my friend Julia from Messy Mansion, which you can see here on YouTube. 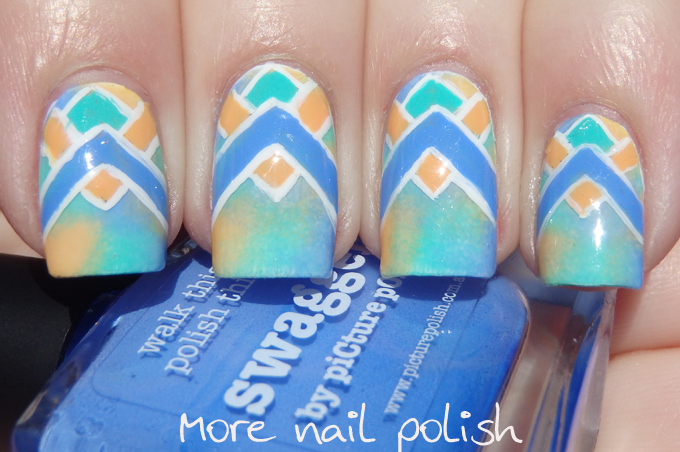 For this mani, I started with a white base. 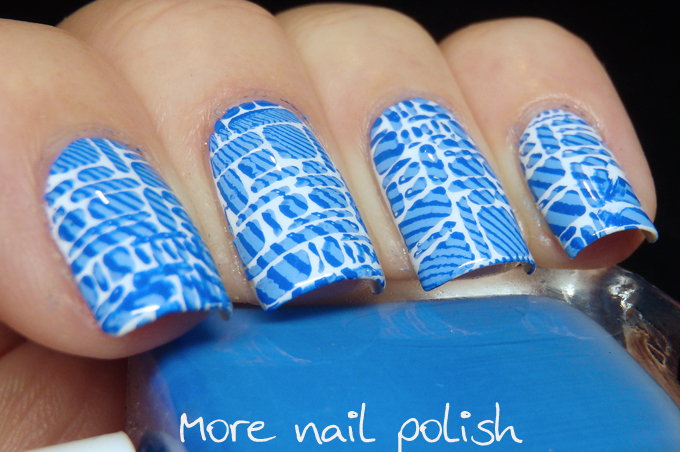 I then stamped using two blues from Mundo de Unas. The first blue, the lighter one was stamped first using a curved line design. 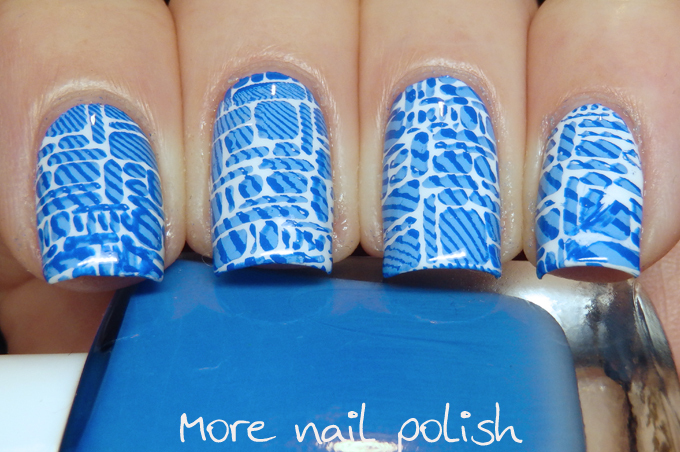 While that was still on the stamper I then stamped the rectangles images. What happens is that some of the first stamping design sticks to the plate where there isn't any polish to pick up. 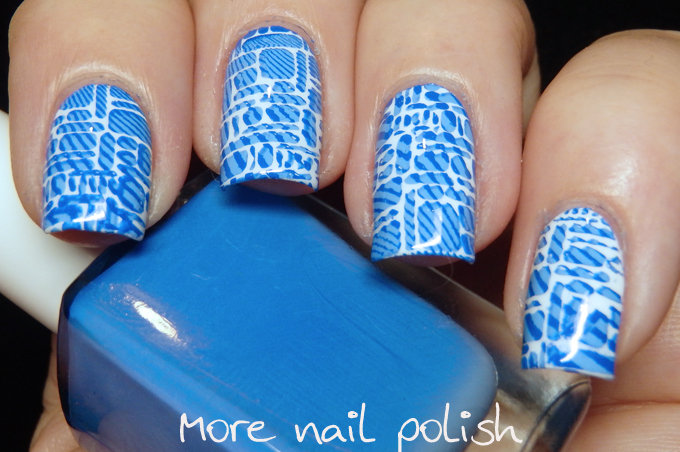 Where there is polish to be picked up, it puts that on the stamper over the original stamping. You then just press it on as usual. 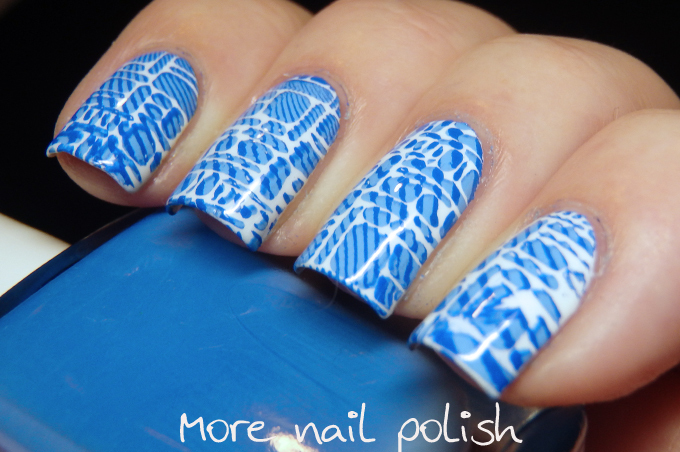 I didn't find it too hard to get the images to transfer well, but what I had the most difficulty with was selecting two stamping designs that would work well. You need to choose something with fine and close details for your first image, and then something with larger solid sections for the second image. My inspired by artwork nails from 2013 and 2014! Wow, that is amazing! 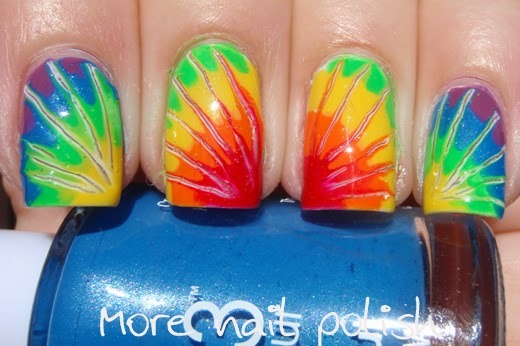 You're so talented.. major nail inspo right here!